It has been said many times by many writers that the story tells itself. Well, I used to consider that statement a cliche or a platitude given to explain away the writing process because the writer had no idea how to articulate it. The one thing I have learned since I have become fully immersed in my own writing process is that it is no cliche, it really does happen. One thing that is true is no one really knows where the story ideas come from. Usually it is not any one thing but a combination of several that come together in a writer’s head like a magical tapestry, mentally woven (mostly subconsciously) into a unique landscape which becomes the rudimentary creation that slowly makes its way onto the page. Like any newborn creature, it develops its own personality and ultimately its own direction, constantly surprising the writer with its own hidden traits that ultimately dictate the course of the story. Does that still sound like a cliche? Perhaps it does but I would challenge anyone (writer or not) that has a story idea to sit down and begin to write it out. I think you will be surprised when it starts taking you in directions that you never even considered before. 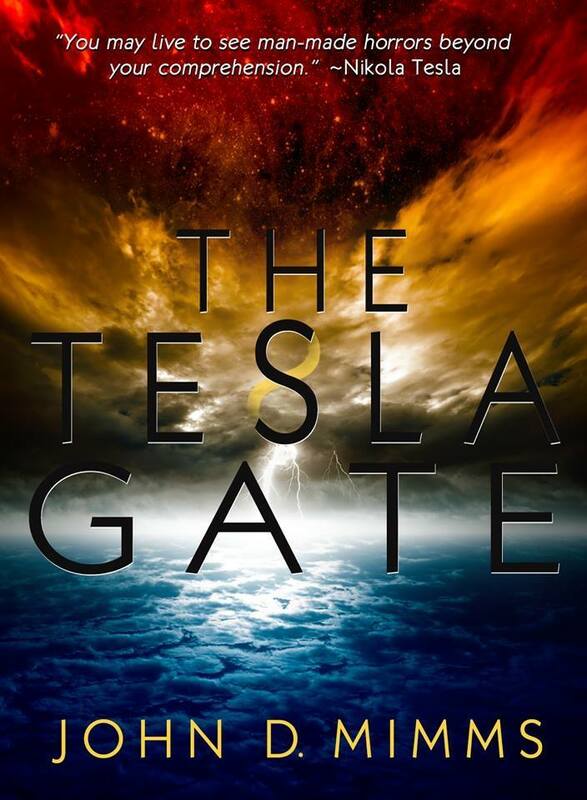 I originally wrote THE TESLA GATE as a standalone novel but much has changed since I typed out the first words of the book titled THE IMPALPABLE (which eventually became THE TESLA GATE) in January of 2011. The first thing that changed, of course, was the name. That decision was made by the wisdom of my agent, which turned out to be a very good decision. The biggest change was that as I was writing the final page of THE TESLA GATE, I saw a much larger story there, one that I had not conceived of before. It soon became evident that a trilogy of books would be required to tell the whole story. I finished book 2 in September 2013 and am currently halfway finished with book 3. When I arrived at what I believed to be the halfway point of book 3 the other day, the story gave me another unexpected epiphany … it might take 4 books to completely tell this tale. I haven’t decided yet because the story is still telling itself and I’ll just have to hang on for the ride and see where it goes. The one thing that I am certain of is that this is going to be a wild and exciting ride and it starts July 10, 2014!